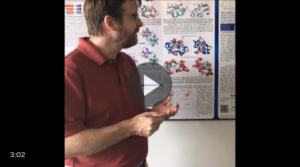 Dr. Dieckmann, Mike Piazza and Dr. Guillemette from the University of Waterloo published a paper that uses OpenSPR to study the structure and function of the protein calmodulin (CaM). CaM is a small protein important for many physiological and pathological processes, and serves as a calcium sensor and control element for nitric oxide synthases (NOS). The research paper titled “Structural Studies of a Complex Between Endothelial Nitric Oxide Synthase and Calmodulin at Physiological Calcium Concentration” was published in ACS Biochemistry and investigated the effect of increasing Ca2+ concentration on the structure and function of CaM when bound to NOS peptides using nuclear magnetic resonance (NMR) and surface plasmon resonance (SPR). We interviewed Dr. Dieckmann to see how OpenSPR provided him the missing data needed to accelerate his research & publish within 3 months. Check out the 3 minute video below. NMR spectroscopy was used to determine the structure of CaM bound to the NOS peptide at the lowest calcium concentration required versus increasing concentrations. When the concentration of calcium was increased, the strength of the interaction also increased, which resulted in a protein conformation change. SPR data was critical for this study to confirm the increase in the strength of interaction. In addition, SPR studies showed Ca2+ concentration-dependent binding kinetics – giving more detail into the interaction by providing on and off rates. With these results, Dr. Dieckmann and his colleagues were able to show that structural studies performed under more physiological (real-life) conditions reveal information on subtle changes in structure that may not be apparent in experiments performed with excess calcium concentrations. 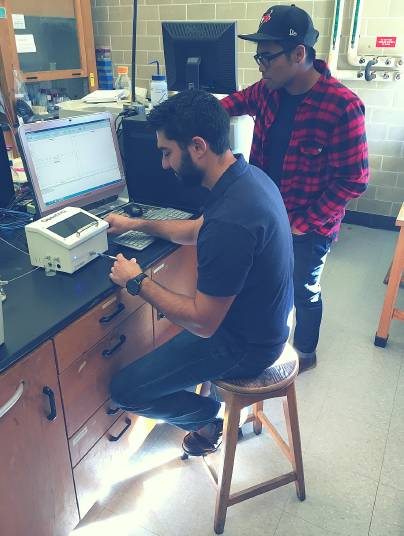 Dr. Mike Piazza next to Nicoya’s benchtop OpenSPR (previous model). OpenSPR allowed Dr. Dieckmann and his research lab to get SPR data from their own bench. Their favourite aspect was being able to complete the experiments themselves with minimal training needed. OpenSPR is a user-friendly and low maintenance benchtop SPR solution that is currently being used by hundreds of researchers. 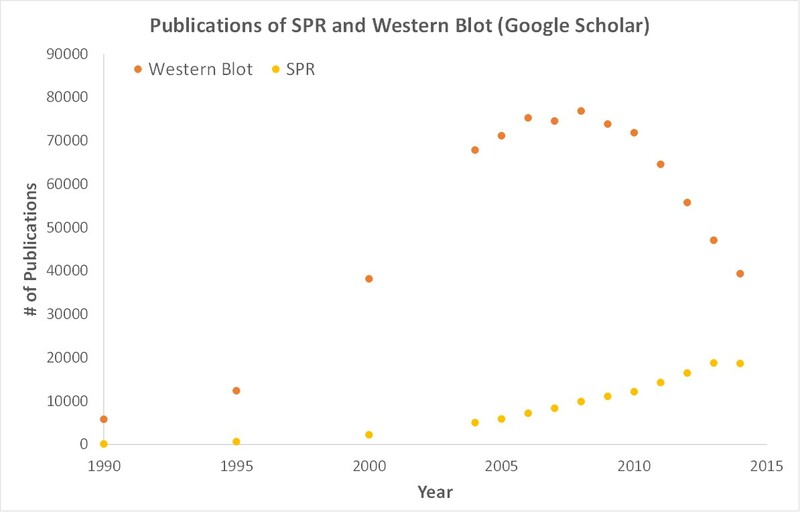 With access to SPR technology on your own lab bench you can get the high quality data you need to accelerate your research and publish faster.